Rep. Debbie Wasserman Schultz (D., Fla.) has become the black sheep of the Democratic Party, with liberal leaders from President Barack Obama to those in Congress doing all they can to distance themselves from the longtime Democratic National Committee (DNC) chair, who Democrats say has become a major liability. Wasserman Schultz, known as of late among Democrats by her more popular name, "political kryptonite," was exposed as an incompetent leader who is not well liked by her colleagues, and, in particular, the president, Politico reported on Wednesday in a lengthy exposé about the DNC head’s many professional failures. The Free Beacon has been present at many points in Wasserman Schultz’s embarrassing political demise. Among the more significant revelations in the Politico story is that Obama first grew disgusted with Wasserman Schultz’s behavior in 2011, when she tried to hire a major campaign donor’s daughter for a key DNC post—a decision that proved politically costly when it was revealed by the Washington Free Beacon that the staffer in question had posted inappropriate photographs on her Facebook page. "According to multiple people familiar with the president, Obama’s opinion of Wasserman Schultz was sealed back in 2011," Politico reported. "Shortly after becoming chairwoman, she pushed hard for a meeting with the president that she kicked off by complaining that she had been blocked from hiring the daughter of a donor—who’d been on staff in her congressional office—as a junior staffer to be the DNC’s Jewish community liaison." Obama is said to have "summed up his reaction to staff afterward: ‘Really?’" according to the report. 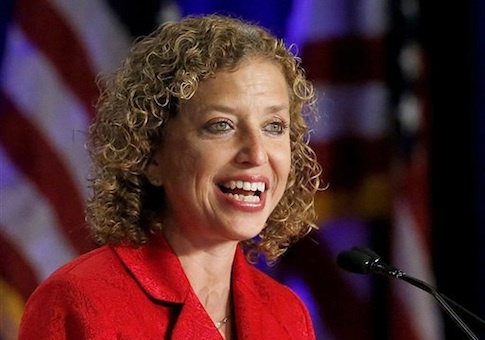 Wasserman Schultz eventually appointed the staffer, Dani Gilbert, as the DNC’s Jewish liaison, a decision that sparked much controversy after the Free Beacon exposed that Gilbert had publicly posted on her Facebook page several pictures with friends where they referred to themselves as "Jewbags" and the "Jew cash money team." The photos sparked a controversy for Wasserman Schultz’s DNC and led to several reports about the fact that Gilbert’s parents, Mark and Nancy, had earned access to the White House by holding multiple big money fundraisers for Obama. This type of behavior has cost Wasserman Schultz her access to the president, according to Politico. "Obama and Wasserman Schultz have rarely even talked since 2011," the report states. "They don’t meet about strategy or messaging. They don’t talk much on the phone." Subsequent years have not eased the tension. Wasserman Schultz’s performance during the 2012 presidential race is also said to have raised the White House's ire, with officials coming "very close to replacing" her after the race, according to Politico. The Democratic National Convention that year proved problematic for Wasserman Schultz, who was caught multiple times lying in public. The Free Beacon caught up with Wasserman Schultz at a Center for American Progress (CAP) party held on the sidelines of the convention to ask if she would apologize for these lies, in particular one about Washington Examiner reporter Phillip Klein. Klein had caught Wasserman Schultz lying about remarks made by former Israeli Ambassador Michael Oren. When asked by the Free Beacon at the time if she planned to apologize for this, Wasserman Shultz was defiant. "No, I definitely will not," she said. It is not just Wasserman Schultz’s public deceptions that have riled Democrats. Her behind-the-scenes behavior also had become an issue for Obama as early as 2012, according to Politico. Wasserman Schultz bothered the White House on several occasions between 2012 and 2013 to ask if the DNC would pay for her clothing expenses. "She asked again around Obama’s inauguration in 2013, pushing so hard that Obama senior adviser—and one-time Wasserman Schultz booster—Valerie Jarrett had to call her directly to get her to stop," Politico reported. 2014 also began with trouble for Wasserman Schultz after the Free Beacon revealed in January that she had been spearheading efforts to block bipartisan Iran sanctions legislation—and then lying to her constituents about these stealth efforts. Wasserman Schultz’s backroom bid to kill the sanctions bill was seen as a betrayal by many Democrats who backed the legislation. "Debbie has been busy at home telling her constituents she is doing all she can to stop Iran, but in reality it appears she is busy behind the scenes working to scuttle bipartisan action to put increased sanctions pressure on Iran," one Democrat on Capitol Hill told the Free Beacon at the time. Following the initial Free Beacon report, Wasserman Schultz was caught lying to her hometown newspapers about her position on Iran sanctions. The DNC chair’s double talk prompted criticism from typically liberal Florida pro-Israel leaders and even some within the American Israel Public Affairs Committee (AIPAC), which had backed the sanctions bill. When the Free Beacon traveled to Florida to ask Wasserman Schultz about her deception, the lawmaker went to great lengths to dodge a reporter over 200 miles between Orlando and Ft. Lauderdale. Eventually pressed during a public press conference about her efforts to kill Iran sanctions, Wasserman Schultz was caught on tape pretending she could not hear the multiple questions. Politico predicts that Wasserman Schultz could be pushed out of the DNC before her term expires in 2017 should Hillary Clinton make a run for the presidency. This entry was posted in Politics and tagged Debbie Wasserman Schultz. Bookmark the permalink.